Who is it for? 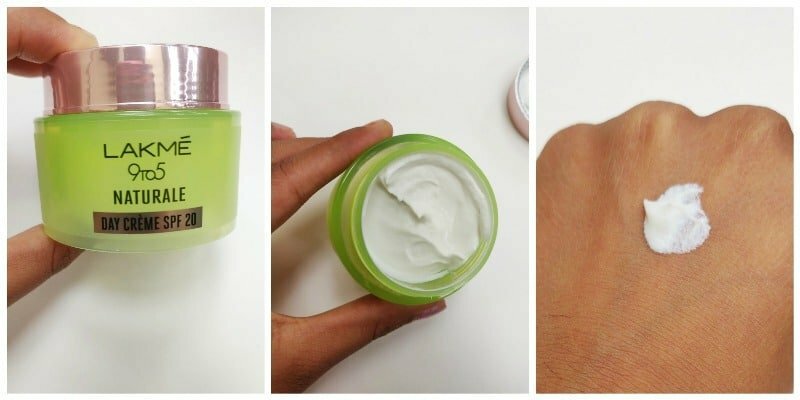 Lakme 9 To 5 Naturale Day Cream Spf 20 is for those looking for a lightweight day cream with aloe and other natural ingredients. PRICE and QUANTITY: INR 300 for 50g. My skin is prone to get tanned easily so I needed something which moisturizes my skin as well as protection from the sun. Aloe vera has always been one of the best sources to rely on when it comes to tanning by protection against the sun. Simple, light, travel-friendly packaging. Fits easily in your office handbag. The texture is very smooth and supple and when applied on the skin can feel the cool sensation. Lakme products really comes with a nice fragrance which is also experienced in this product. Tolerant to nostrils. I started using this product daily after cleaning my face with mild face wash before going out in sun. little quantity is also sufficient and it spreads easily on your whole face. Feels cool on the facial skin so it becomes a bonus in summers. After using this product one thing which I learned was the importance of moisturizing our skin. My skin type is oily so I used to neglect that part thinking oily face does not need one but this myth was busted. It is a light moisturizer and does what it claims. I liked the product and found much effect after the use and if you have an oily skin then also you should use it and don’t ignore the moisturizing part. It does help in giving the bright look on the face and keep the skin moisturized for 4-5 hours at least. With sun protection I have not seen much effects. Less effect on sun protection part. Yes, easy to wear and easy to carry the product. Moisturise the face for a good number of hours. It seems good. I hope it works for acne prone skin as well! no special effects on acne!